Cuddling up to watch your favorite Christmas and holiday movies is one of the best ways to stay warm and combat the winter blues. But it’s not the only way. 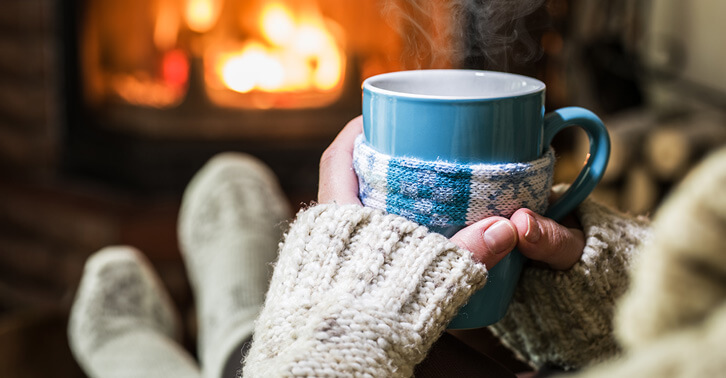 If you’re looking for some budget-friendly ways to stay warm and cozy this winter, you’ve come to the right place. You may also find some perfect last-minute gift ideas for those on your shopping list that enjoy a warm and cozy experience. 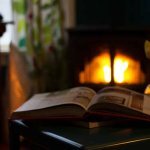 Instead of cranking up the thermostat when the temperatures drop, consider these energy-saving heating tricks to increase winter warmth and wellbeing. Did you know that your ceiling fans can help you feel warmer? In order to take advantage of the warming effects of your ceiling fan, flip the little black switch on the base of your fan to reverse the direction of the blades. By setting your ceiling fan to its “winter” setting and reversing the direction of the fan blades, you will create a updraft that will help move the warm air near the ceiling down to the living spaces below. This is especially effective in homes and apartments with high ceilings. It will also help circulate the air to improve indoor air quality. Your mom’s hot water bottle got a make-over. Perfect as a gift for yourself or others, consider cute and cozy hot water bottles, including hot water bottle covers ranging from fuzzy merino wool to cashmere. It’s the perfect way to warm up while reading, watching a movie, or going to bed. Enjoy super soft coverings for your head, shoulders, knees and toes. From warm and fuzzy socks and slippers to shawls, rebozos, earmuffs and beanies, there’s something for everyone. Runner’s tights, long underwear, or leggings underneath your regular clothes is highly effective. Instead of turning up the thermostat, consider adding an extra layer first (learn the best winter thermostat schedule for maximum savings). Another winter warming trick you may not have considered is replacing your thin sheets with warm flannel sheets. They feel amazing and will keep you warm throughout the winter months. And while we don’t know exactly why weighted blankets help with insomnia and increasing serotonin levels, a weighted blanket may be the perfect solution for people who feel anxious, stressed, or suffer from insomnia. They’ll help keep you warm too. Keep in mind that weighed blankets are not recommended for children. While they are safe for teens and adults, two deaths have been reported due to blanket misuse among a 9-year-old child and 7-month-old baby. While you should never use your oven to heat the home (it’s inefficient and can leak carbon monoxide), feel free to cook and bake to your heart’s content. Bake some cookies, invite some friends over, and you’ll instantly feel warmer from the oven and body heat. Don’t forget about the hot cocoa, Paris Tea, and hot toddy. Treat yourself! Do not leave your oven on after the food is finished cooking, but we do recommend leaving the oven door open so the hot air fills the home. Another way to add some heat (and moisture) to the cold and dry winter air is by cooking soups, stews, pastas, and taking hot baths. Add some Epsom Salt to the bath to help relieve the day’s stresses. If you are suffering from dry, winter air, learn how a humidification system can help. Learn additional ways to stay happy and healthy this winter. One of the worst things about cold, winter weather is stepping out from under the warm covers onto a shockingly cold floor. Avoid walking on cold floors with a soft bedside rug. Consider creating a rug path all the way to your sock drawer so you can make it safely across the arctic floor. Other area rugs around the home will help insulate your home, provide some sound blockage, and adds an aesthetic element as well. Block drafty air from entering your home with door sweeps/snakes, weatherstripping, and caulk. Check for air leaks around windows and doors with your hand, a lit piece of incense, or a thin piece of toilet paper. 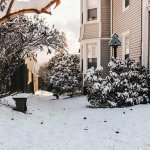 If you notice any cold air, there are many window and door insulation techniques. Make sure all of the doors leading to the outside have door sweeps or door snakes. While a well-sealed home will save you energy and money throughout the year, too much insulation can create indoor air quality problems. Click here for garage heating and insulation tips. Speak with a professional HVAC technician for the ideal insulation/ventilation combination. Of course, you can ask them to inspect your home when you get your heater tuned up for the season. The term passive heating and cooling refers to ways in which you can use sunlight, insulation/ventilation, trees and orientation to increase heating or cooling for your indoor spaces. 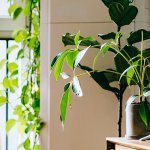 One of the best ways to maximize your home’s energy efficiency is to take advantage of the sun and trees around your home. Use this tree planting strategy to beautify your land and save money on heating and cooling costs. Whether it’s play Nintendo Switch, having a dance party, or simply doing some push-ups and yoga, moving around is a great way to warm up your body. Even if you don’t do a “workout,” simple things like doing the laundry and cleaning the house are great ways to “kill two birds with one stone.” Simple pleasures like wrapping yourself in warm clothes from the drier can instantly make you feel better. If you are using plug-in spaces heaters, fireplaces, heating blankets, and other sources of heat to stay warm this winter, make sure you go over some essential heating and fire safety tips. Sometimes the best way to feel warm and cozy is with some deep belly laughs and enjoyable moments with friends and family. Laughter has been proved to reduce stress, strengthen the immune system, tone your core, trigger endorphins, and increase warmth and wellbeing. Service Champions is known for trustworthy, on-time heating and air conditioning service throughout the East Bay, South Bay, and Sacramento areas. 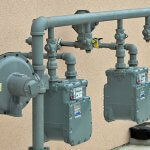 Contact us 24/7 for premier HVAC, water heating, and indoor air quality services in Northern California.